Maybe your kitchen is super modern. Clean lines, smooth cabinets, and boring. You need a pop of color. Well, here you go! 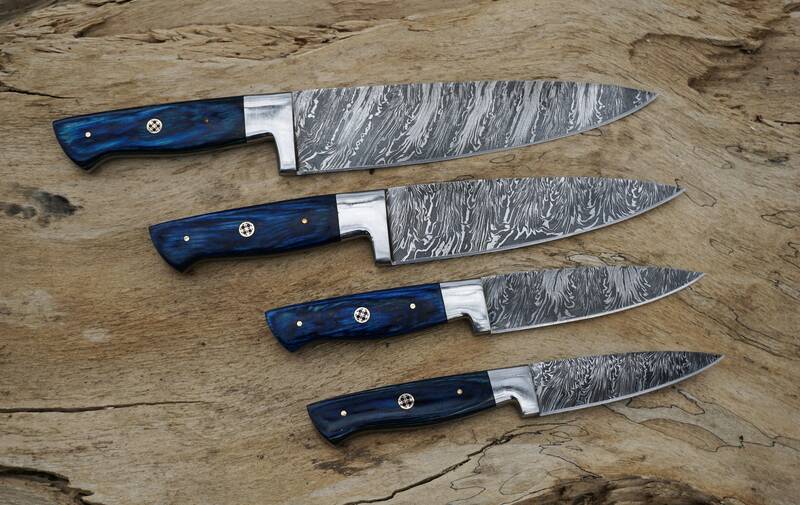 These are crazy beautiful and sure to be a show stopper. 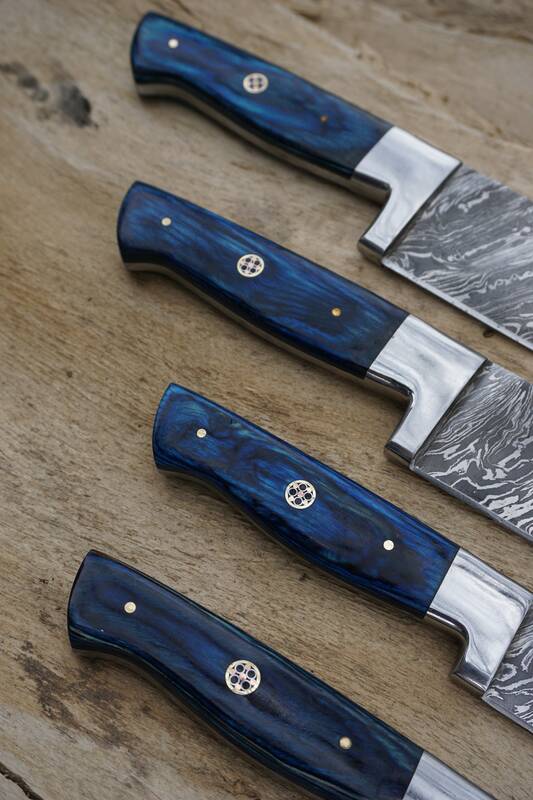 What could be better than one of these beautiful blue knives? Four of them! Unless you just want one of them, which you can do too. Just choose from the drop down menu! 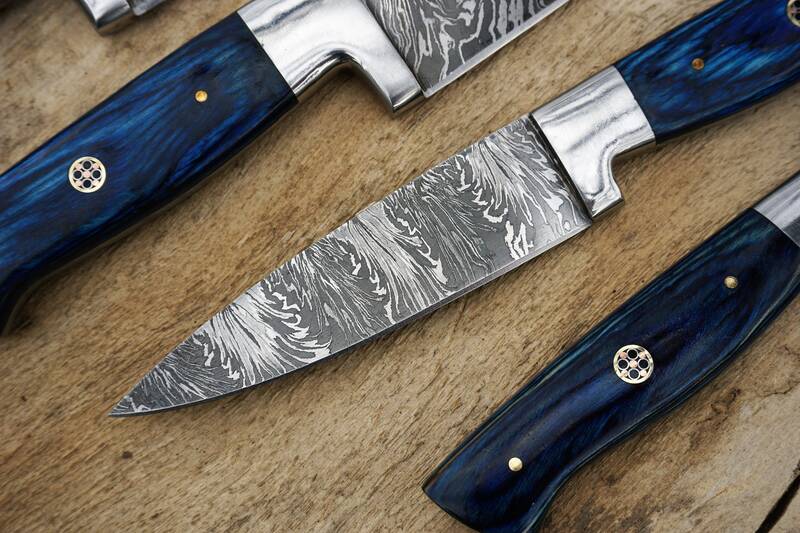 Damascus pattern, blue dye, and wood grain will vary. I can’t wait to give this to my husband for Christmas. It’s beyond beautiful. 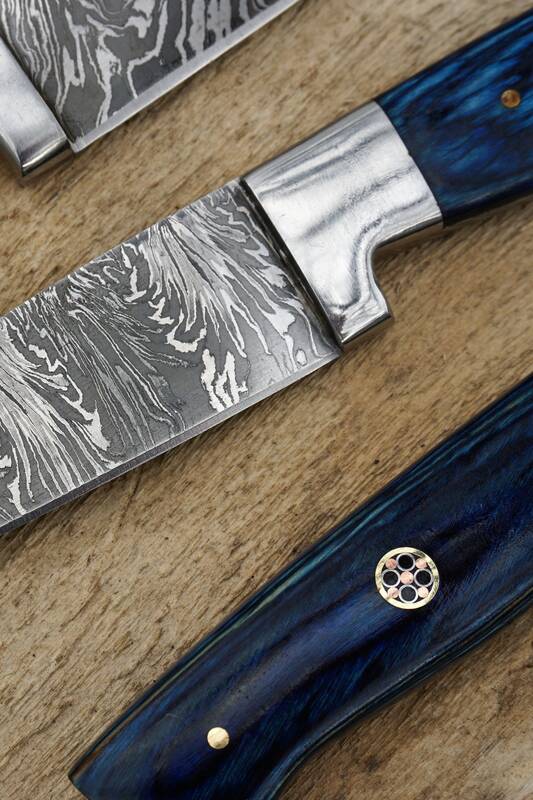 The detail and craftsmanship is precise and impeccable. . 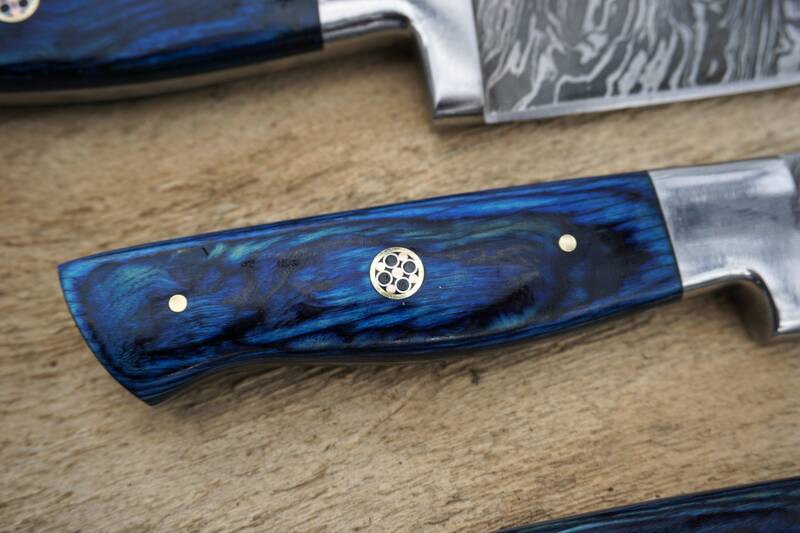 Even with my smaller hands the grip is smooth yet solid that my husband will have a manly grip and feel like he has chefs knife in his hand. 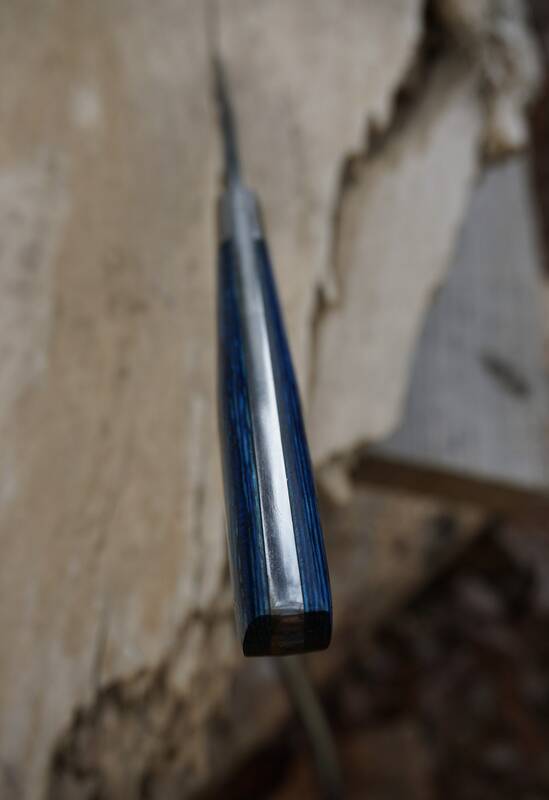 The sheath it came is was an added touch, I may have missed in the details information. Just an amazing product!! My dad absolutely loved his father's day gift. 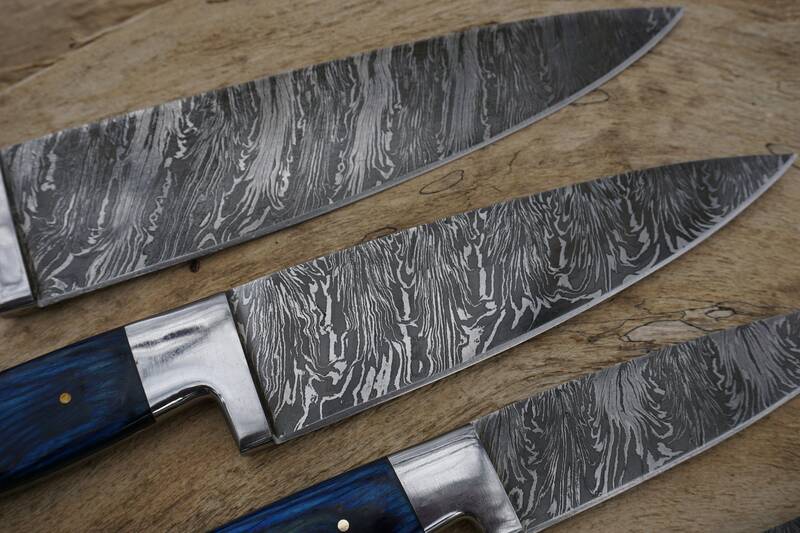 These knives are more amazing in person! Thanks again! !